On the 6th day of owning my Jeep Wrangler we headed to the Waterbury, Connecticut Costco to buy some 40 pound boxes of cat litter. This was the first shopping trip for my Jeep. On the 6th night of owning the JK Wrangler I was cleaning up cat litter from the carpet in the cargo area. Needless to say I was not happy. This event made buying a cargo tray my number one priority and first Jeep upgrade! 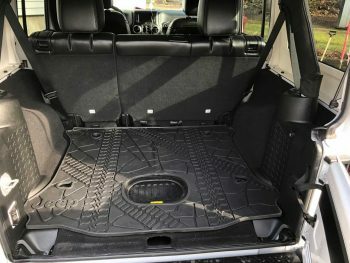 I was all set to buy a Weathertech Cargo Area Tray 40745 when I saw on the Mopar Jeep Dashboard website that Jeep sold a cargo tray that matched the awesome factory floor mats and also featured a cutout for the subwoofer. The going rate was about $80 from Mopar and the various online Jeep upgrade parts sources. I dislike creating accounts at stores so I decided to check Amazon and I’m glad I did. 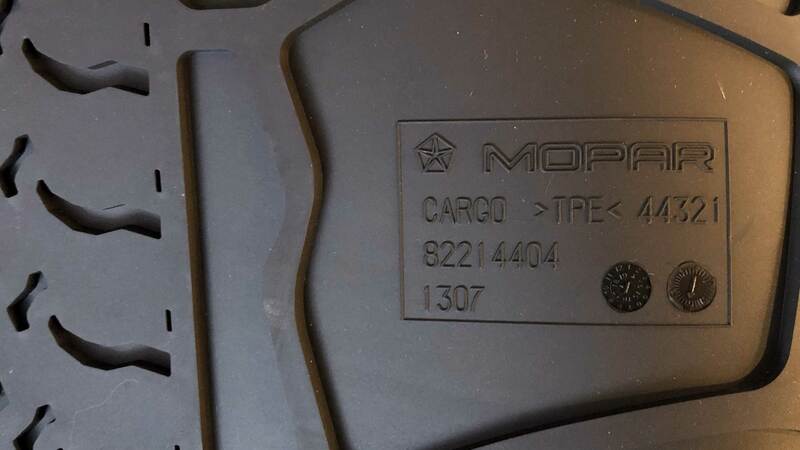 I originally located the cargo tray offerings that looked EXACTLY like the Mopar Version except the lacked the Jeep logo. Some were also substantially cheaper while others were not. Then I decided to search by Mopar part number 82214404-FS and I found an amazon marketplace seller “Falls Mopar City” which appears to be a business named “Falls Motor City” located at 4100 State Rd Cuyahoga Falls, OH 44223. Falls Mopar City is selling the Genuine Mopar Jeep Wrangler Unlimited Rear Cargo Mat Tray With Floor Mounted Sub Cutout for $55.60. All options offered free prime shipping except Falls Mopar City but they did include free shipping. I ordered the genuine part, why wouldn’t I when it was price close to the knockoff and 3rd party offerings. 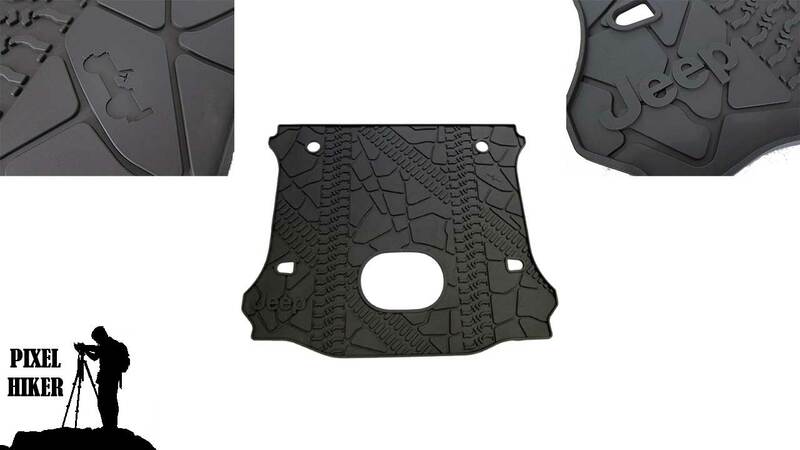 Genuine Mopar Jeep Wrangler Unlimited Rear Cargo Mat Tray With Floor Mounted Sub Cutout Mopar part number 82214404-FS $55.60. Built from flexible, skid-resistant rubber, these durable Cargo Area Trays assist in preventing cargo from rolling around as you drive, protecting against spillage, dirt, grease and grime. They are custom molded to fit the exact contours of the cargo space, yet remove and install in seconds for easy cleaning. NOTE: Fits 2015-2018 Jeep Wrangler JK only. The review and personal pictures will come soon!